Pierre d’Alcantara Zocli, the Chancelor of Espéranza University, Cotonou,in Benin Republic has commended President Muhammadu Buhari for re-appointing Prof. Rauf Adebisi as the Director General and the Chief executive officer of the prestigious Nigeria French Language Village. While using the same platform to felicitate with Prof Rauf Adebisi for his re-appointment, d’Alcantara noted that the re-appointment would allow Adebisi to finish the good programmes he has on ground and also enable him to do more as NLFV just had a forum where French language activities in the higher institutions were reviewed recently. “As an institution rooted in the spirit of African Innovation and Progress, Espéranza University would like to mark the recent re-appointment of Prof Rauf Adebisi to the post of General Director (CEO) at the Nigerian French Village . 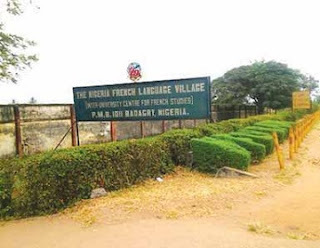 “The Nigeria French Village initiative is yet another example of the Nigerian entrepreneurial spirit which Espéranza University has been working hard over the past couple of years to harness by equipping young Nigerian prospects with the academic and practical tools of entrepreneurship within an intra-African setting. Thus, by exposing young Nigerians through immersion to the intricacies and opportunities of our cross border trading corridor and the Francophone market. D’Alacantara who is also a big time consultants with the United Nations looks forward to a rich exchange of educational ideas as “ we explore ways to harness our synergies” he concluded.